Open interaction with Universe society could yield fairly rapid results in forestalling our ecological crisis, and elevating human society. New energy non-polluting energy sources - of human design and application could at last be made available without their inventor's fearing assassination by petroleum and nuclear interests. Our petroleum civilization would be stalemated and made obsolete. Universe society's laws and institutions prohibit war as a conflict resolution mechanism. The ruling terrestrial elites - and the permanent war economy - have historically used war as a key means of production and power. A: Universal law encompasses all of the Universe - Universal law and justice exist and govern all intelligent life in the Universe. 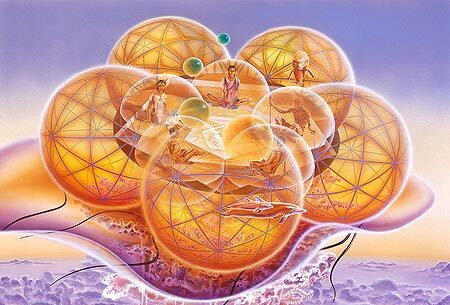 Universe society is one society - a multiplicity of societies under Universal law. Humanity is in a very good place, psychologically and Universally. Between 50 and 100 million adult North Americans (between 25% and 50% of the adult populations - Gallup and Zogby polls) believe in the reality of extraterrestrial presence on Earth. They will not have a problem absorbing the new post-reality. Q: What essential points are you trying to make in EXOPOLITICS: POLITICS, GOVERNMENT AND LAW IN THE UNIVERSE?